V-Count is participating as a sponsor in the upcoming Retail’s Big Show! No Comments on V-Count is participating as a sponsor in the upcoming Retail’s Big Show! We are excited to announce our participation as a Sponsor in the upcoming National Retail Federation’s Big Show. 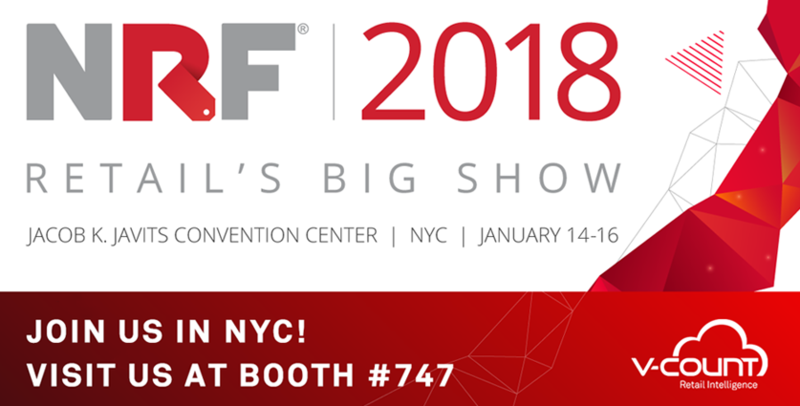 The event will be held at Jacob K. Javits Convention Center, New York City, on January 14-16, 2018. Retail’s Big Show is the biggest annual retail event, bringing together 34,500 retail professionals and vendors from more than 80 countries.